As the Goddard Graduate Institute launches its first residency, we welcome these new students who just began with us. The GGI is the combination of the Individualized MA, Health Arts and Sciences MA, and new Social Innovation and Sustainability MA programs. 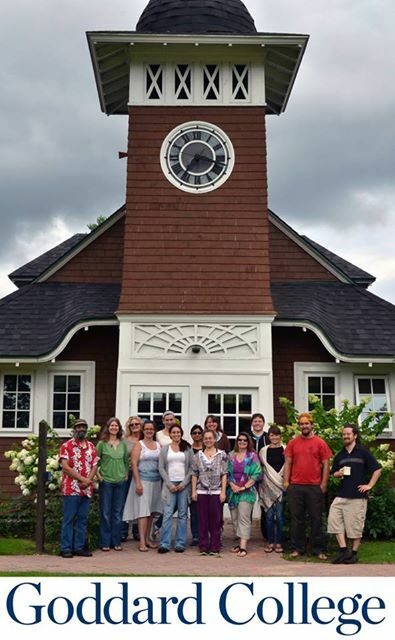 We welcome new students, who met together for this photo on August 8 in front of the fabled Goddard Clockhouse at the Plainfield, Vermont campus. This entry was posted in Uncategorized and tagged Goddard Graduate Institute. Bookmark the permalink.